In preparation for the upcoming exhibition, Kandinsky and the Harmony of Silence: Painting with White Border, Curator Elsa Smithgall and Conservator Lilli Steele check color proofs for the catalogue by comparing them against the colors of Kandinsky’s original 1913 oil painting Sketch I for Painting with White Border (Moscow) in the conservation studio. 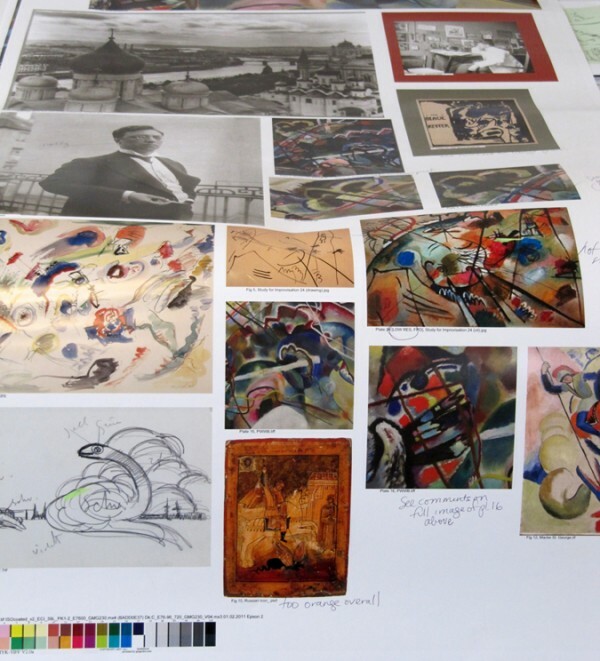 This entry was posted in Conservation Studio and tagged Catalogue, Wassily Kandinsky. Bookmark the permalink.